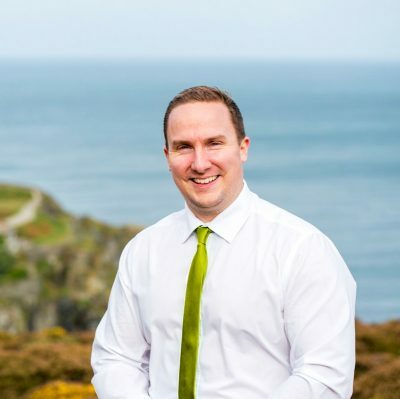 For more information on how RRL can help with Making Tax Digital, please contact Tax Partner Steve Maggs, on 01872 276116 / 01736 339322 or steve.maggs@rrlcornwall.co.uk. From 1 April 2019, the government’s major Making Tax Digital (MTD) programme became law for over one million VAT-registered businesses earning more than £85,000. HMRC believes that MTD will make it easier for businesses to get their tax right first time, and they have been urging businesses to get ready. If your business is going to be affected, then HMRC should have already written to you with information on what you need to do. Almost 100,000 businesses have already signed up to the new service. More than 4,000 businesses are now signing up to MTD every day to experience a more integrated approach to business and tax. During the first year of VAT mandation, HMRC will take a light touch approach to penalties by not issuing filing or record-keeping penalties where businesses are doing their best to comply with MTD. This is to give businesses time to become familiar with the new requirements. “Delivering Making Tax Digital for VAT is the first step toward our ambition to create one of the most digitally advanced tax authorities in the world. Whilst there are clear benefits to digitising tax and accounting, such as having accurate and timely financial information, allowing businesses to make better, more informed decisions, HMRC has been criticised in some quarters for pushing through MTD for VAT despite figures showing that many businesses are still not prepared. If you have not prepared, do not panic. 1 April is not a ‘cliff edge’ for sign-ups – the first returns under the new system for the majority of businesses, which file VAT quarterly, won’t be due until August at the earliest. Those already using software will need to ensure it is MTD-compatible then sign up to the new service and authorise their software for MTD. For those who are not using an accountant or don’t currently use software, you can still sign up and there is information available to help you prepare, including about what software is available. Those businesses that are either not represented by an accountant and/or do not already use software will need to select software to use and sign up to MTD, then authorise their new software for MTD. The GOV.UK webpages provide information on a wide variety of products, from free software for businesses with more straightforward tax affairs, to increasingly sophisticated paid solutions. There are also products that can be used in conjunction with a spreadsheet for those businesses that don’t want to change their underlying record keeping system. For easy-to-use guides and advice for businesses, agents, see guidance on GOV.UK: Making Tax Digital for VAT as a business: step-by-step. You can also read HMRC’s Making Tax Digital (MTD): Mythbusters guide. This publication has been prepared by RRL LLP. It is to be treated as a general guide only and is not intended to be a comprehensive statement of the law or represent specific tax advice. No liability is accepted for the opinions it contains, or for any errors or omissions. All rights reserved. Copyright © 2019 RRL LLP.